Interested in trying your hand at coding for the Atari 2600? Turn back now! This is the most challenging coding I have ever done in my life. It is very frustrating and very rewarding at the same time. You have been warned! A working knowledge of assembly language for the Atari 2600 is necessary before you take the full plunge and learn the details of making the Atari 2600 sing. A comprehensive set of 6502 programming resources can be found here. I personally like the books by Lance Leventhal and Rodney Zaks. 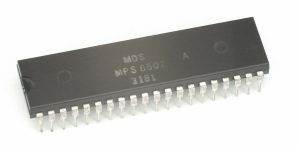 The Wikipedia page with info about the 6502 processor can be found here. I did not find a single comprehensive source of information about programming for the 2600. I had to piece my knowledge together from a number of different sources. I found the tutorials by Andrew Davie and Darrel Spice to be good places to start. The Stella Programming Guide is a must read. The Atari 2600 Programming forum at Atari Age is a wealth of information. I recommend spending a lot of time there as you encounter questions and issues. I also highly recommend Steven Hugg’s 2016 book on Making Games for the Atari 2600. There is also lots of source code out there that can be helpful. Some of it has useful comments. See the bjars website, for example. You can also take a look at and use my highly commented source code. I provide a number of comments and tricks that I learned along the way.